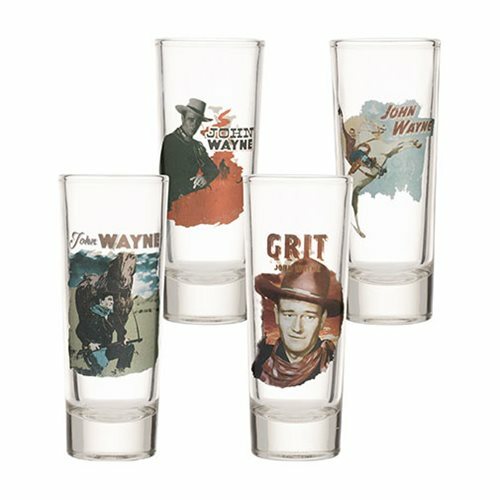 Make a statement with this unique John Wayne Laser Decal Tall Glass Shooter 4-Pack! Featuring distinctly bold designs on front and back of the Duke, they're the perfect addition to any barware collection. Measures roughly 4-inches tall. Comes in a color gift box. Hand wash only. Not dishwasher safe.